As a Christmas gift, I donated solar ovens to people in the refugee camps around Darfur. For the people there, who are at risk every time they have to leave the camp to seek scarce fuel, a solar oven can mean survival. Jewish World Watch sends two solar ovens to the Iridimi and Touloum refugee camps in Chad for $30. There are other solar oven programs as well. This video from German CARE is especially close to my heart because it shows a woman in one of the 3 international displaced person camps they run in Easten Chad using a solar oven and a "haybox" or retained heat cooker to prepare a meal. The haybox is simply an insulated box into which you place a hot pot. The heat has nowhere to go but into the food. You can also use a stone as a heat reservoir: heat the stone, place it in the box with a pot of food, cook. It's an old, old technique updated with solar. I love these ancient solutions to common problems. Here's another youtube report on a solar cooker workshop held in Nyala, Sudan under the auspices of the Darfur Peace and Development Organization. I also gave the gift of bees and trees as I do every year through Heifer International. Donate bees, trees, rabbits, geese, chickens, goats, as well as heifers to a project from their catalog somewhere around the world, including the US, in the names of your loved ones. I like to give bees because they are all about pollination and improving agricultural production. Investment in pollination in these days of colony cluster disease is especially important. I like trees because they are also a carbon offset. I've given a decade and more's worth of 60 trees a year to Heifer International. That should do something to absorb some of the carbon my energy use has released to the atmosphere. Last but certainly not least, I also gave a few solar LED flashlights and AA battery chargers to friends and family. These Bogolights are very well designed with one button (on and off) and one screw to secure the battery bay. There's even a phosphorescent band so you can find the flashlight in the dark. They work as reading lights too. I know because I tried them out. They also use standard AA rechargeable batteries and allow for battery switching, charging one set of batteries while using another set in a second device. Bogo means "buy one, give one" by which they mean, you spend $25 to buy one for yourself and the company sends a second to somebody in the developing world. You can even choose where and what program. A good deal. Wow... I just discovered your blog. This post is amazing and really had an impact on me. You're one of those unique people who is into green energy for the sake of helping people rather than looking trendy or cool. I've added your blog to the top of my blog roll at www.greengoldrush.org. I'll be visiting your blog regularly now. I'd also like to do a special post on you and your blog. Please send me an email at dannah@greengoldrush.org if you're interested and we can communicate further. Hi. This is Carol Steinfeld. About a millennium ago, I was on your email list. 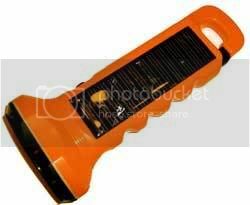 Where did you get your solar reading lights? I need them for my new workshop (www.fishisland.net). I like your green guerilla idea. Perhaps you'll join me in organizing Watering Woman, an East coast eco-effective, restorative and transformational counterpart to Burning Man. great gift ideas = thanks! I wish not concur on it. I over polite post. Especially the title attracted me to study the whole story. Good brief and this mail helped me alot in my college assignement. Thank you for your information. Amiable brief and this enter helped me alot in my college assignement. Thanks you on your information.